... and enter this instead! Women's beach rugby tournament, Icarai Beach, Rio de Janerio, Brazil. Clearly some people have plenty of spare time this half term, but at least its being put to good use! So don't miss Nikki's latest - especially the Top 20 Tips for a Perfect Season. Excellent stuff. Or more to the point, her brother's. For some reason I really like this one (who as no. 5? 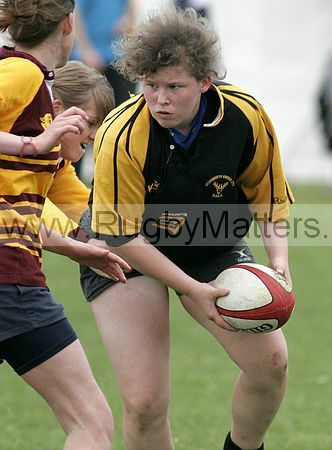 ), but there are a number of other really good pictures of both the Legends and Letchworth/Saracens teams. Well done to all those who were involved yesterday you proved how much we continue to progress as a squad. However it was clear to see from such sides as Basildon, that there is so much more work we need to do. 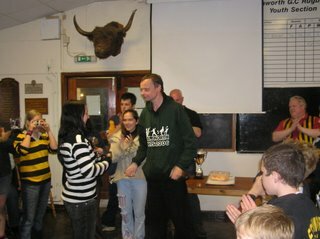 well done to Mel who had a blinder of a day especially in the first game against Basildon. 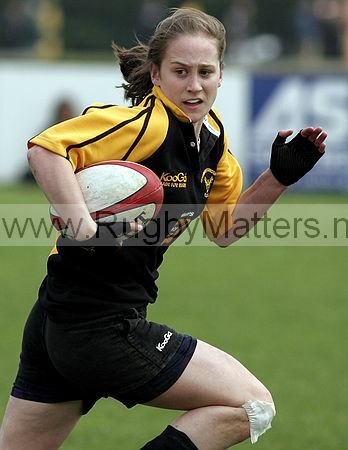 A special mention also needs to go to Steph who also put in some brilliant tackles and carried the ball forward well. 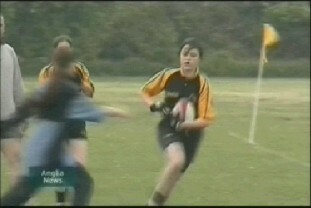 Also a mention for Robyn who continues to progress in skill and confidence. And so to the formalities. Tackle of the tournament : Steph. Steph made several covering tackles that were crucial to our success on the day. Nim has continued to step up to the mark and made several key contributions yesterday. She led the team well, made several vital tackles (covering tackle against basildon in the first minute) and also got her name on the scoresheet. Oh and came away with a wonky nose. As John has said there is so much potential for next year and with such a huge squad im looking forward to it and I hope you are to. We need to take another step forward next year and this means commitment to training increasing. Unfortunately because im touring in South Africa im unable to start regular preseason sessions. Instead Im looking to get together on the following selected dates. These dates may not always be physical training sessions, instead some maybe team building session indoors and may not necessarily be at the club but we will cross the bridge when we come to it. Can you please let me know whether you can make the above dates by return email. If there is sufficient interest I am more than happy to start these session earlier maybe the beginning of July for example. Thanks again girls for a brilliant season. Lets take what we achieved and move forward again next year because it could be my last. 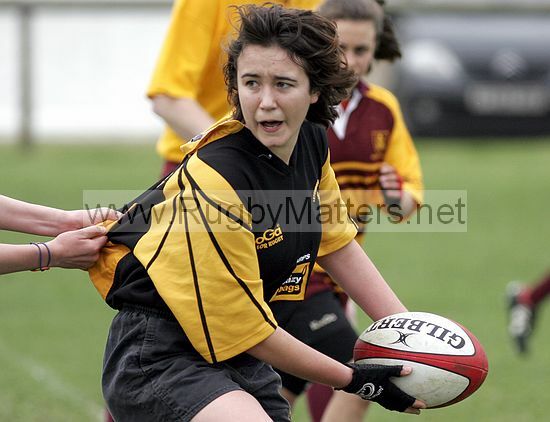 Finally Letchworth RFC would like to wish Nim good luck in whatever she decides to do next season. You'll be sorely missed by both the squad and the coaching staff. Two semi-finals in three weeks - and maybe next season we can go one step further. This weekend saw us get out first win in the National Sevens, and a deserved one it was too. Moreover against more or less the same team that thrashed us at U14 level last time. When we started throwing the ball about against Basildon suddenly they looked an average team as well and - but for the referee getting in the way of Nichola's pass to an unmarked Mel - might have resulted in a narrower scoreline. And as for Wimborne... shows what a well drilled and experienced backline can do in a tournament like this. At 15-a-side I think we'd be closer. Our strength has been in our forwards this season. Since Robyn joined and gave us a settled front row no side has remotely troubled us when we've had our full pack out, which is not bad considering the average age of everyone in the team (ie rather closer to 15 than 17). In contrast we have struggled a bit in the backs in comparison, often not having enough girls to fill all positions. The exciting thing for next season is that the U14s coming up slot so well into the missing places in the current U17 squad. With around 20 U17s we'll even have - in theory - team selection problems, though in practice what it does mean is that we can expect to have 13-15 players for pretty much every game, and can therefore confidently enter things like the National Knock-out cup (which we've had to miss out on up until now because we couldn't rely on having a big enough squad on the day). So - new challenges to look forward to, as well as some familar rivals to turn over. And only three months before we begin (probably on the last Wednesday in August - watch this space!). A few new photos from Herts Sevens have now appeared. 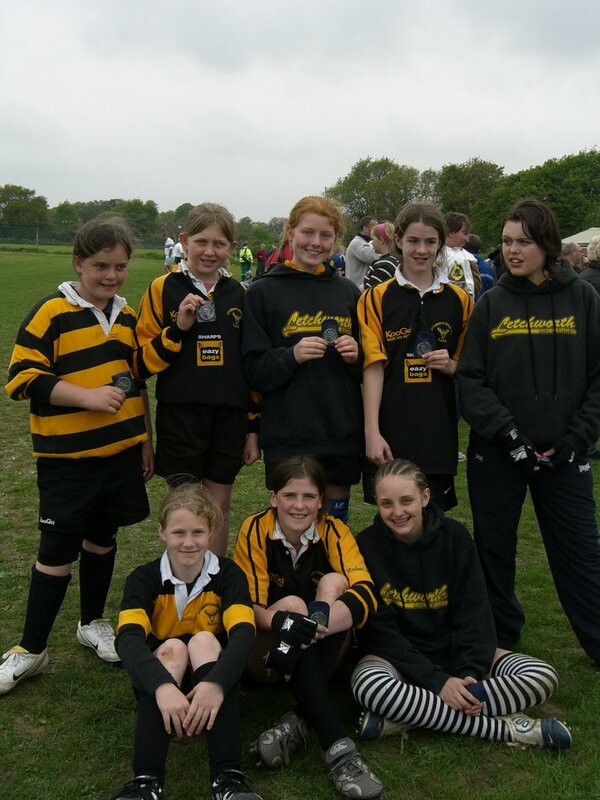 Not much new from our point of view, but Sasha stars - again - Natalie's try is slightly recropped (as is the infamous Basildon trip), and there's a a slightly odd "what the heck was going on here" photo from the Uttlesford-Letchworth/Saracens game. Beyond that there are several other images which are pretty good, as action photos, especially the Romford ones. 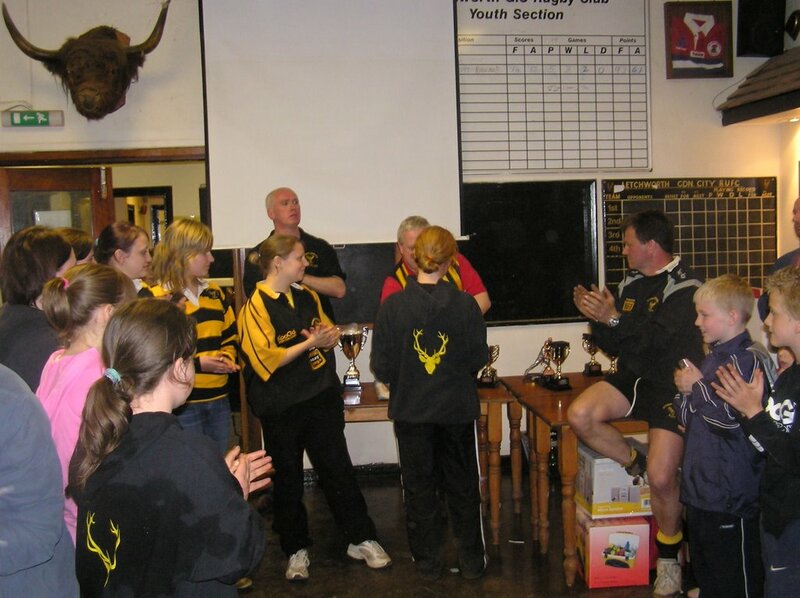 U17 "Player of the Year" 2006-7: rewarding attendance at training, etc. We (me & Joe) have been discussing how we can encourage better attendance at training (though in all honesty - compared with other parts of the club - numbers are pretty good most evenings, a fact that several other age group coaches mention). Anyway there are two ways to do this. One is the "stick" - ie. you don't play unless you train. While simple in theory, in practice it would not work unless we had about twice as many players, all of whom were of a similar standard. Realistically - even next year - we're going to need everyone to play who can turn up for a game. And certain people know - if they think about it - that they'd always get picked - like how could we play without props? It also puts undue pressure on people with exams, or other unavoidable commitments on certain days, etc. So we are going to try the "carrot". What this means is that next season the Player of the Year will not be decided by a vote of players (as in 2004/5), nor by coaches' decision (as in 2005/6), but instead on points awarded throughout the season. In addition there will also be Player of the Month awards. 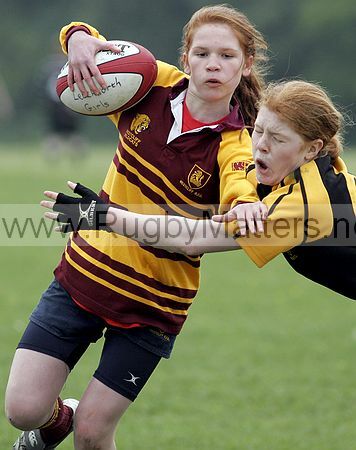 Letchworth feature prominently amongst the first "gallery" of photos from Herts Sevens, which have now appeared. Taken during the first round of games they include Natalie, Steph, Hayley G, and Sasha. More galleries of photos will appear over the next few days. Copied can be ordered from Rugby Matters using this form. Continue on the 1081 all the way through Harpenden and out the otherside heading towards St Albans. You should pass the George pub on the right hand side and go straight over 2 mini roundabouts. When you come to a larger roundabout turn right following signs to Redbourn on the B487. If you start to pass a golf club on your left hand side then you have gone to far. Harpenden RFC is approx. a mile along the B487 on the left hand side. I know some of next years U17s asked on Sunday whether you could train with the U 17s on Wed. At the time I hadn't decided. Having talked with John I have decided that you can train with the U 17s tomorrow providing that you fully participate in the session. This offer however is only limited to next years U17s. Can ALL U17 (not the three that I have had returned) email me to let me know whether they have a parent/guardian consent form or whether they require one. Also can you please let me know when these will be returned. I don't want to go all the way to Harpenden to find out we only have four girls eligible to play!!!! Anybody who is coming to the nationals and wishes to take photos or video please email me and I will send back a photography form which you must will in and take to the registration desk on the day. Pictures from this season's Awards Day. More photos from the awards day, and also Herts Sevens, are also now available (see the link on the right) - thanks to our "official" photographers Alcock & Threlfall Ltd. 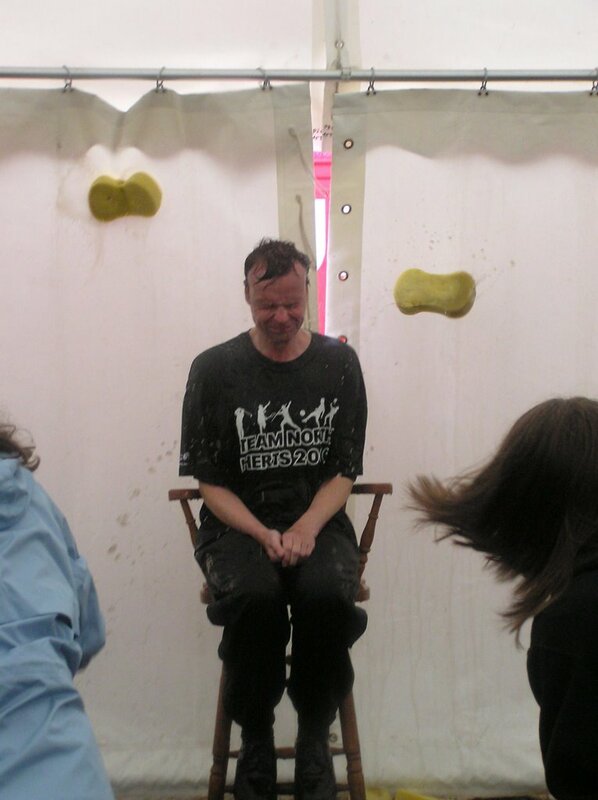 It worries me a little that neither of the Alcock sisters managed to hit John!! Many thanks to Mike Alcock for all the pictures! Right who's was this one!!! Right Press Ups for everyone on Wed then!!! Thanks girls was a really good day hope you all enjoyed yourselves. Looked like our stalls took a bit of money!!! Firstly I would like to thank everyone for my gifts yesterday. Much appreciated. It's been a brilliant season. And finally a full month after the boys, are season is now drawing to an end. This week we will have training on Wed 6:00pm start. There is nothing on Sunday as I have a family christening to attend and we don't want you getting injured (naming no names) before Monday . On Bank Holiday Monday we have the National 7s at Harpenden. Registration is from 9:30 with the tournament starting at 10:30. We will meet at Harpenden at 9:30. Please don't be late. I'm not sure where we will be meeting but look for the green tent like we had at the herts 7s. Please note anybody arriving after 10:00 will be charged to park their car. Parking before 10:00 is free of charge! If you arrive on Monday and cant find us please call me on this number. Store it in your mobiles now otherwise I know you'll all forget. Anybody wishing to take pictures/video on Monday is required to will in a photography form. Please email me if you require one of these. 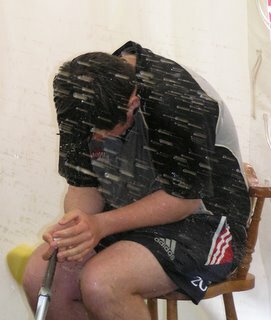 Finally I have only had three Parent consent forms returned to me for the sevens. A reminder that no form means no games on Monday. Please can I have the remainder of the forms on Wed at training. I don't want to be chasing round for these on the morning of the event. 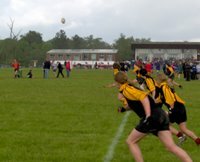 Thanks to the Threlfall family over four minutes of video of the U14s in action at Herts Sevens can now be found here. Includes action from games against Basildon, Westcliff and Hellesdon with highlights such as four tries from Natalie and Nikki. Firstly I would like to Thank you all (especially Nikki and Mike) for my wine! 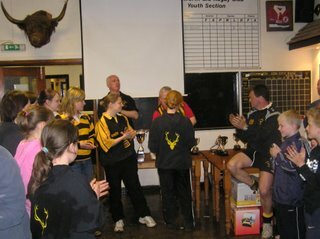 I have thoroughly enjoyed coaching the under 14's this season and will be sad to see you all move on to the under 17's. I only wish that the changes in age bands could have come in from this year, so I kept a dedicated and hard working team. However as I have to see you move on I look forward to your continued success in strengthning our 17 squad. Thanks once again and I look foward to seeing you all back again in september, rested from the summer and ready for action. 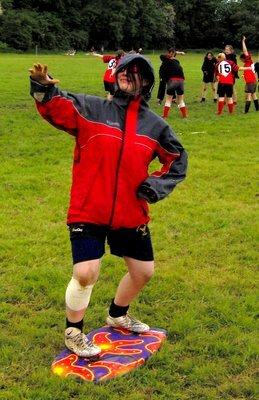 I advise all those that want to play in tomorrows tag to bring boots and a change of clothes as it is sposed to rain all day!!! 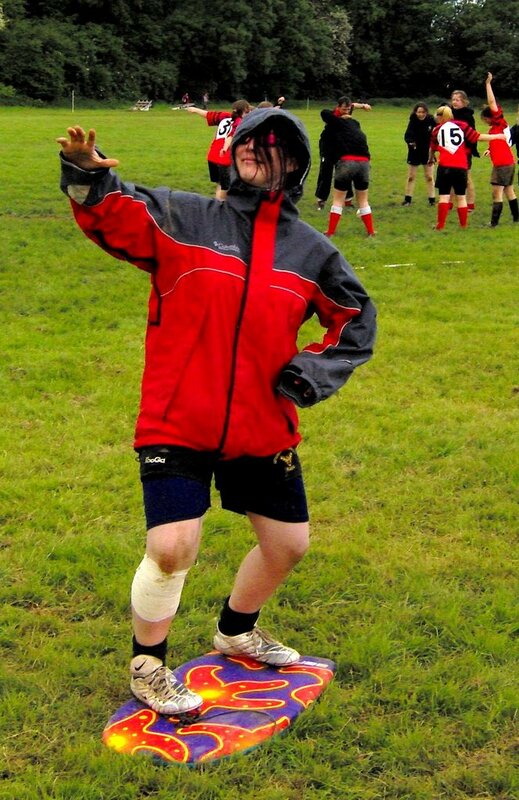 Oh and lets show these boys how to play Rugby!!!! 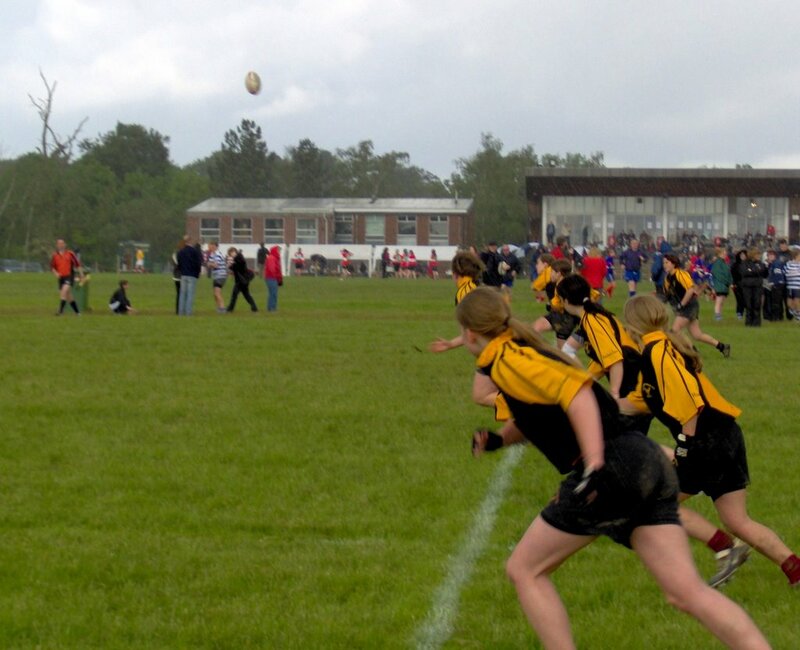 As you should all know by now the national 7s are on (Bank Holiday) Mon 29th May at Harpenden. I'll let you know what the meet time is early next week. I have sent an email out containg two forms which I need each player and player parent needs to fill in and retun by Wed training next week. 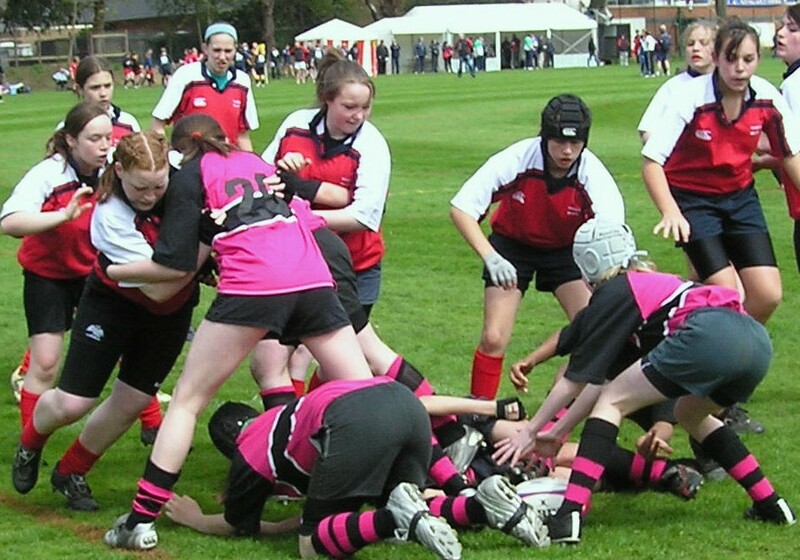 Every player wanting to play MUST return the parent/guardian permission form as it is a RFUW tournament rule. Players will not be allowed to play without one. If you have not recieved these forms please let me know and I will try to get them to you. The end of season awards day is this Sunday. Those that I've spoken to or have offered their help could you please be there from 11:00. The tag tournament is scheduled from 2:30 onwards with the awards starting from 3:00ish. Looks like there's going to be a big article on the Sevens with pictures such as the one above. Also worth checking out is the RFUW website, especially these stories: Nikki's fifty, the grant, and the sevens. Please can you ALL bring a change of clothes, or at least some tracksuit bottoms, as it is more than likely we will be sitting inside the clubhouse, disscussing Sunday, for part of the session. The Anglia TV cameras on Sunday arrived just in time to catch some of the action from the U14s first game and - thanks to Mike Alcock - I've managed to get a copy. Carla and Hayley also get interviewed, as does some other bloke. There are alsoa few familar faces in the various crowd scenes, and a staggeringly patronising introduction (to the Monday broadcast) enjoy! Calling all voluteers. I need some people (girls or parents) to run our stalls on the awards day. Remembering all the money raised get put back into the youth section. 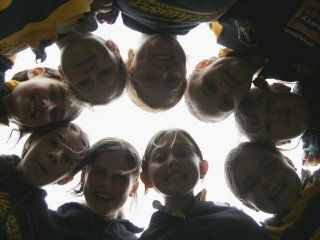 We have three stalls to organise so I need at least 6 girls or parents but more means that people will get a break. 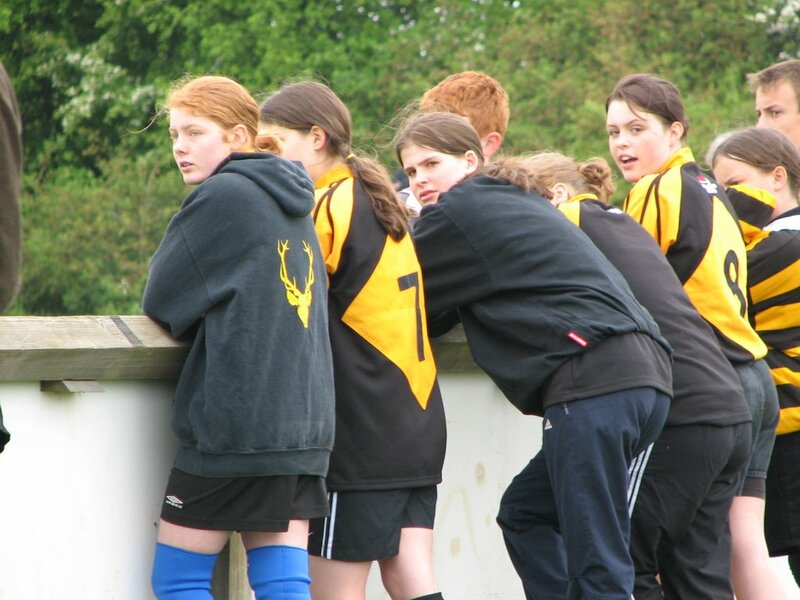 Secondly I need to know from all girls whether they want to play in the 6-a-side tag tournament. I allready have two people but I need at least 1 U14 and 1more U17. Oh and at least 1 Mum otherwise we can't enter. 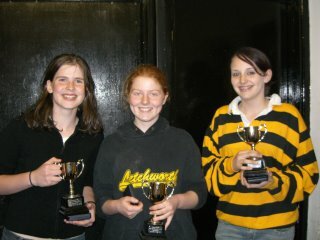 The girls require at lest one mum to be part of a tag team for the awards day. The rules state the team must be made up of 3 player (U15) and 3 over 15s one of which must be a mum. The rules also state that if mums score then it counts as double points. To sum it up no mum means no tournament entry for the girls section. Which would be a shame! So dust off the trainers, step forward and lets prevent the boys from walking away winners!!!! Firstly thank you to all the U17 squad members (regardless of what team) for there performances on Sunday. Special thanks to Nim who I felt captained the Legends superbly leading by example and setting the standards for the rest of the team. Unfortunately we were put out in a rather sour and unsporting manner, however that's the way rugby goes sometimes but believe me I've already started planning for beating Hertford next year. Looking back there were many positives. The forwards functioned well and one of the backs moves worked superbly. It was really pleasing to see some of the stuff we have practiced in training working on the pitch. 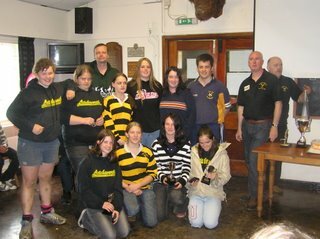 Some of the highlights of day for me were Hayley's Hatrick of tries within 3 mins against Wasps, Nim's tremendous covering tackle against Hertford leaving their layer requiring an ambulance and the breakaway try that was scored by the Letchworth Saracens team. Please don't be to down about the way we went out, but use it to drive yourselves as a team to train hard and become the team to be reconded with within the East region next year. Lets go to the nationals, two weeks today, and lets have some fun as a squad, enjoy the day and finish off a brilliant season with a smile on our faces. Ok well after my chat with some of you on wednesday, you all seem very positive about this sunday. This is a good start as drive and determination is half the key to success. You all need to focus on your strengths within the team, as we know that you can pull together as a team. At the end of the day I just want all of you to enjoy playing the games and to achieve your own personal goals. Bring any strapping, or supports that you need. 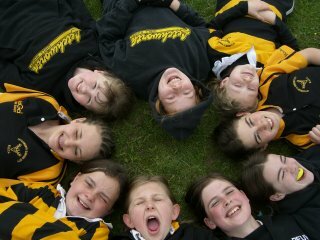 Lastly I just wanted to say that just enjoy the day and your last few games playing together as an under 14 team. 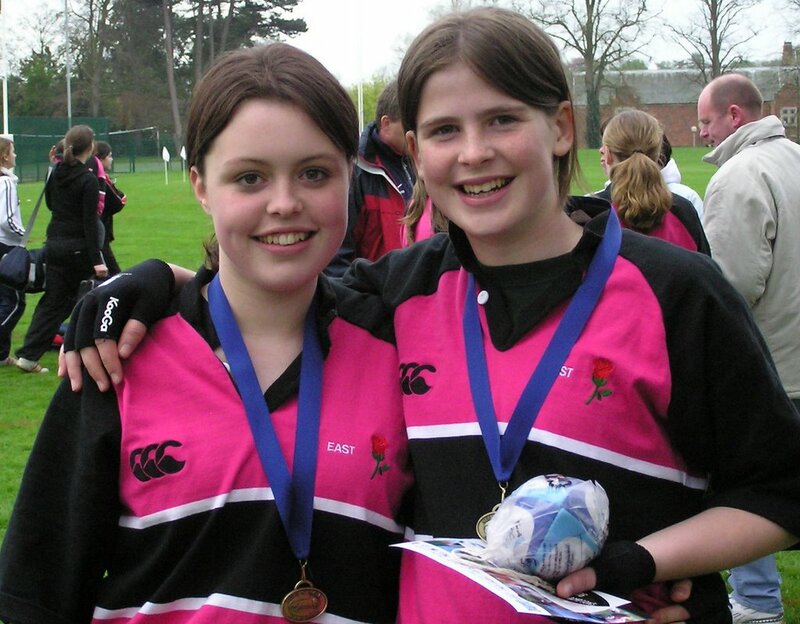 I have thoroughly enjoyed my time as your coach and you have helped me to develop as a coach, (and made me want to take up playing rugby again!). 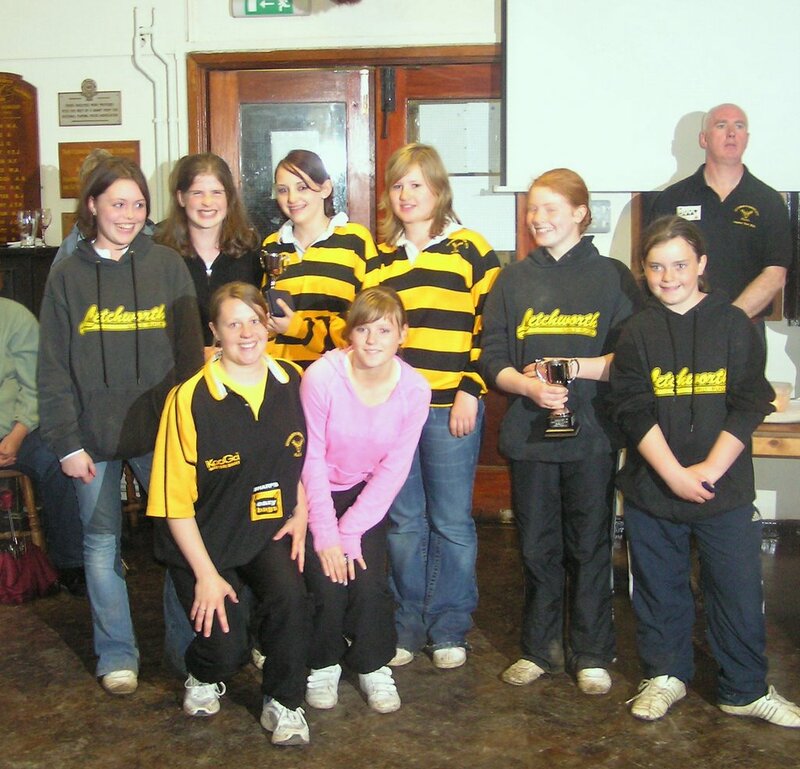 This Sunday could be your chance to star in front of the TV cameras as Anglia Television have said that they intend to send a reporter along to the Herts Sevens on Sunday. 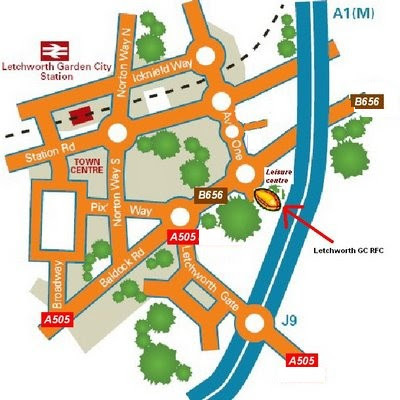 They are due to arrive some time in the morning (always supposing that nothing dramatically newsworthy doesn't happen elsewhere) which means that at least one Letchworth team will probably be playing while they are around. They will probably be aiming to get the report on the local news in the afternoon/evening - so set those videos up now! You've probably seen most of these before, but I've added copies of some recent pictures from Daventry, Bishops Stortford, and the regional games. Stevenage are out of Herts 7s! The surprise withdrawl of our nearest local "rivals" from the U17 competition is due to injury, but the good news is that a replacement has been found from slightly further away. So we'll be welcoming Paviors (from Nottinghamshire) on Sunday. This does not directly affect our two U17 teams, but Letchworth/Saracens could well meet this team in a semi-final. We now have a confirmed meet time of 9.30. We will meet on the far side (furthest away from the football ground) between the bottom and middle pitches. Once everyone has arrived we will annonce teams, sort out any problems, complete registration forms and warm up before the first matches start at 10.30 and 10.50 respectively. A reminder that we have training tomorrow in which we will start to put together the two sides. For registration purposes can all Under 17 players email me their date of birth, school year and an emergency contact number for your parents. As usual please let me know if you can't attend training. Interesting - and even important - post this which raises the question of the number of knee injuries girls and women get, not just in rugby (though this is from a women's rugby blog), but in all sport - and the fact that you are much more prone to such injuries than male athletes are. Its not even just a contact sport issue - women cricketers (especially bowlers) are also much more likely to suffer career ending knee injuries than men. Apparently its due to a combination of both physiological and lifestyle differences (including footwear, etc.) - which is intersting as a similar issue came up at regonal trials over muscular strains in the leg and back which can be caused by the wrong sort of socks. The above post includes various links to websites that give advice on the subject. Although aimed at adults (ie. you should not be doing the weight training some links mention yet anyway) its worth a look. Its certainly worth bearing any of the advice in mind while you still have healthy knees. Confirmation is now in from Muddy that the mixed adult/junior tag rugby competition will take place at the Presentation Day on 21st May. All teams will include six players - 3 adults (U15 and over) and 3 juniors (U10 (school year 5) - U14). Teams should wear the same kit, though bibs will be available, and there will be an entry fee of £1 per team. All teams have to include one adult female. In theory this is hardly likley to be much of a problem for us, but Muddy clouds the issue a bit saying it should be a 'mum' (his inverted commas, not mine) - so whether he means any "adult" female, or it has to be a parent, or it might juts be an "aunt", its difficult to say. Anyway clearly the rules play into our hands. Even if you do need to coax an aged and haggarded 30+ year-old relative onto the field with you, you still should be able to field pretty damn awesome teams from the combined U14/U17 sides! Despite missing out on the regionals yesterday, Hayley has still been selected for this summer's England performance camp. And she won't be alone there as, as a result of her efforts yesterday (when East U17s finished fourth) Sasha Acheson has also been selected. The "performance camp" runs over two weekends in the summer, and features the top U17s put forward by their regions and is the next stepping stone on the way to the England U19 squad. A reminder that the sevens is now just under 2 weeks away, which leaves us with three training sessions. We will focus on defence whilst also working through the backs and forwards moves. This will be a crucial session and as a result it is vital that EVERY player attends this session. I will be attending. In this session we will look at different combinations and look towards selecting the two squads and ironing out the final problems. A light session in which we will try to prevent injuries by doing as little contact work as possible. We will run through moves and also talk about game plans for the tournament. Likely to be a 9:30 meet (not confirmed yet). Warm up for the first games will begin with both squads. Could ALL U17 girls carrying injuries please give me an update by email. 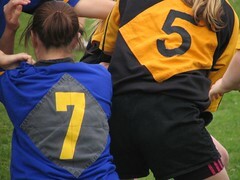 Can you please let me know your availability for the 7s tournament on the 14th May. 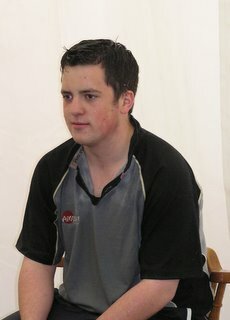 Mark was suggesting on Sunday that you might gain from watching some sevens. I've been looking around and the best video seems to be England vs New Zealand in the Commonwealth Games final (you need RealPlayer). 0:48 Kick-off. New Zealand immediately recover the ball from their own start, nearly scoring straightaway as a result - and indeed they do score shortly afterwards. 1:53 England win the restart this time, move the ball quick through hands across the pitch, and score. 3:15 New Zealand find the left wing crowded - but rather than trying to breakthrough physically they stop, pass back (giving up some ground) - and then move the ball quickly across the field to find space. And score. 4:07 Making tackles is important! 5:59 A masterclass in making space by selling dummies from the New Zealand No. 5. 6:59 As at the start again, dealing with the restart properly is essential. New Zealand recover their own restart - and this time they do score. There are also some interesting highlights of the pool games - watch out for the neat bit of thinking - and clever little kick - by the one of the Niue Islanders against Scotland. Meanwhile if you want to read something, there is a lot more on tactics here. 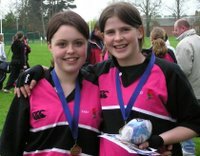 It been a weekend to remember for a couple of our regional girls, but a weekend to forget for two more as a result of the Regional Championships at Rugby School. On Sunday the U14s, featuring Nikki (No. 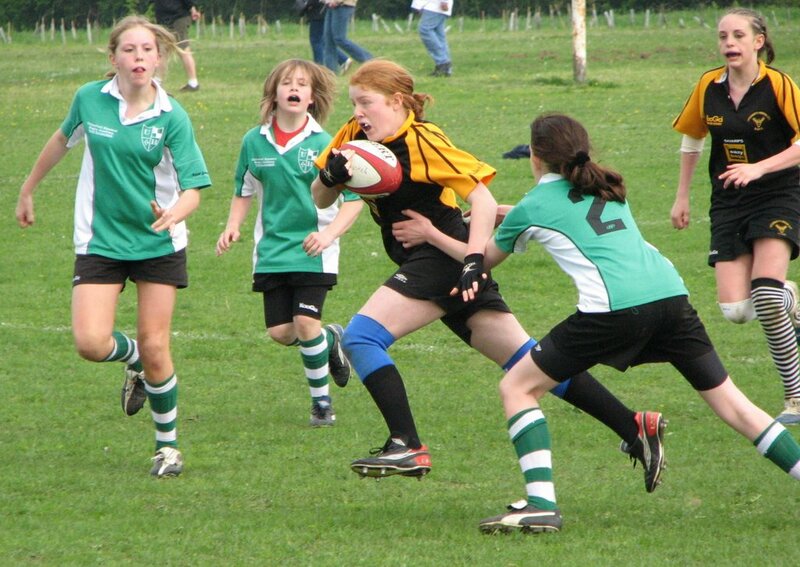 20 in the ruck, below left) and Emily, finished runner-up in their championship. They stormed through their group, scoring 110 points in three games against Thames Valley, South West (S), and North East without c onceeding a point, then beat West Midlands 5-0 in the semi final. But in the the final they found themselves up against the South - comfortably the team of the tournament - and lost out 20-0. Still it was a terrific performance, and another step up for the regional team which finished fourth last year. Meanwhile 150 miles away our sole U17 representative - Hayley - was at a scout camp with Carla and Nichola. In their role as Explorer Scouts they were supposedly "looking after" the younger members of the Ashwell troop, but still managed to find time for a bouncy castle. 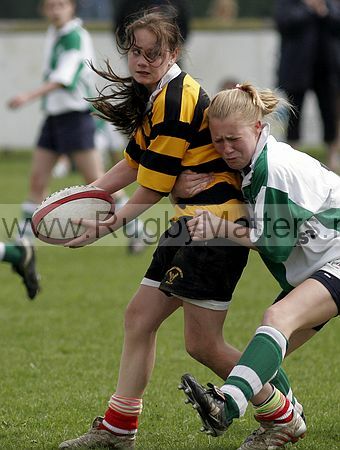 This innocent activity became something more than that when Carla decided to rugby tackle Hayley, the result being a severely sprained finger... and a forced withdrawal from Monday's U17 championships. It is not reported what words were exchanged between Hayley and Carla, but it can be safely assumed that Rachel would not have been impressed by any of them.